When Essential launched its inaugural handset, the PH-1, the hype was off the charts. Essential touted the edge-to-edge design, modular magnetic accessories, and near-stock home screen and apps. The only problem was the phone didn’t live up to any of it. It arrived more than a month late. The accessories were limited to a single high-priced camera. And the stunning sea-green color was nowhere to be seen. Six months later, Essential is fixing the least important of those problems. Starting today, you can buy a PH-1 in the limited-edition Ocean Depths blue-green for $599 (as well as stellar gray on February 20 and copper black on February 22). That's $100 less than it would have cost you had it been available at launch, but $150 more than black, white, or the new exclusive Alexa-infused Halo Gray color will set you back on Amazon. That's because Essential slashed the price of its phone last year in response to flagging sales. However, as enticing as the new colors might be, don’t be fooled: Even without the $100 premium, the Essential Phone isn’t worth buying over the similarly specced OnePlus 5T. Heck, it barely beats the HTC U11 Life, which costs far less. 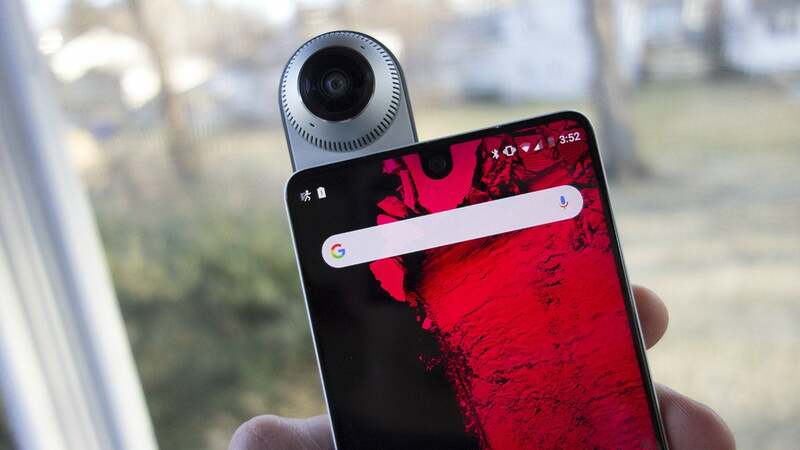 Essential Phone is a perfect example of form over function. I wrote last year that the handset is a beautiful example of everything that’s wrong with Android, and after finally getting to use one (Essential didn’t send me one for several months), my initial analysis hasn’t changed: The PH-1 is one of the best-looking phones you can buy (and that includes Apple’s iPhone X), but unfortunately, its beauty is only skin-deep. The Essential Phone is drop-dead gorgeous...until you start using it. When you take the Essential Phone out of the box, the commitment to craftsmanship is obvious. With a ceramic-and-titanium body and minimal design, the PH-1 is easily one of the prettiest phones ever made, even rivaling Apple’s finest products. There’s a hint of iPhone 4, a touch of iPhone X, and an elegant mix of simplicity and symmetry that makes a marvelous first impression. Even the ceramic-wrapped back is beautiful, with flush cameras, a chrome-wrapped fingerprint sensor, and nary a logo to be found. It is missing an SD card expansion slot and headphone jack, but Essential provides a USB-C-to-3.5mm adapter in the box. Turning it on only heightens the appeal. With three bezel-less edges and a thin chin, the front of the phone is nearly all screen, with a 19:10 5.7-inch, 2560x1312 Quad HD display commanding all of your attention. At 500 nits’ max brightness, it’s significantly dimmer than its other OLED competitors, but it’s very easy on the eyes, with crisp, accurate colors and rich, deep blacks. However, while it's splash resistant, the PH-1 isn't water resistant, a staple feature of nearly every other premium phone. 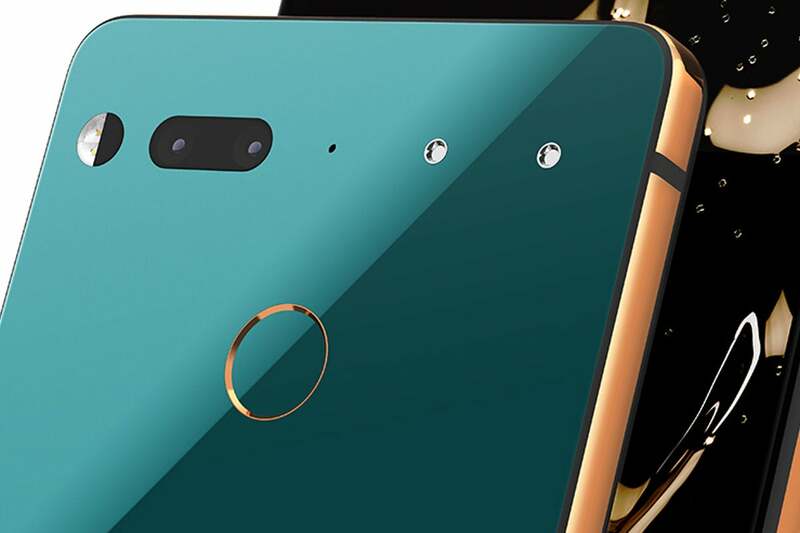 And then we have Essential’s most distinguishable feature, the camera. 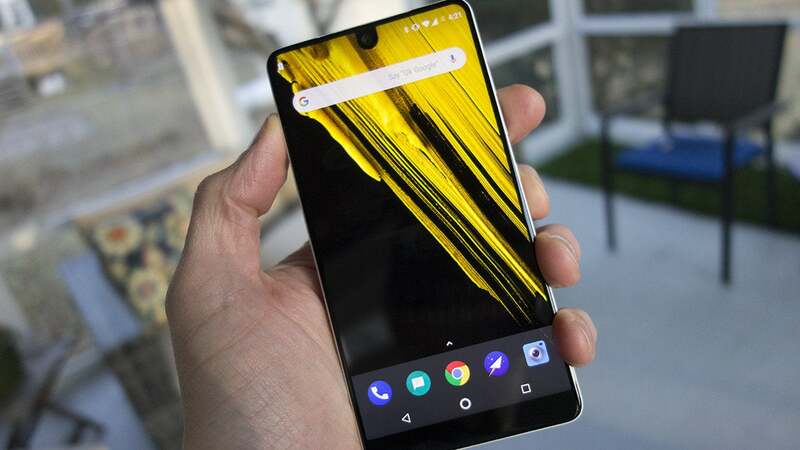 If notched screens catch on, the Essential Phone will forever hold the distinction of being the first major phone with a camera that jutted into the screen, even beating Apple’s iPhone X. But while the notch here is a good deal smaller than the one on iPhone X, I actually noticed it more. The status bar icons can get cut off when theu stray into the area occipied by the camera. When the black status bar is present, the visual distraction melts away, but weird things tended to happen when icons are pushed into the camera area. When viewing images or text that take up the full screen, things can get even wonkier. 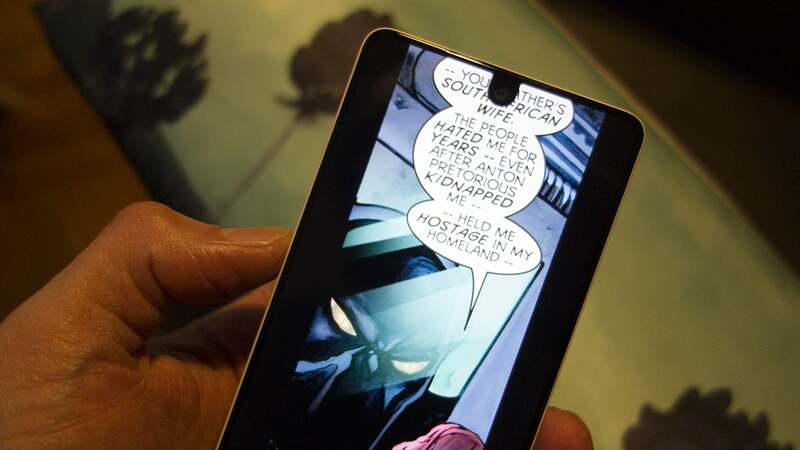 The notch was particularly bothersome when reading Comics using the Comixology app: The dialogue bubbles at the top of the screen were often obscured. Hopefully, Google’s reported focus on notched layouts in Android P will help, but that’s presuming this Essential Phone actually supports the next version of Android. While looking at the Essential Phone’s display is mesmerizing, using it is quite the opposite. It wasn’t long until I experienced laggy app launching and stuttered scrolling, and it took less than 48 hours until I experienced my first full system lockup, requiring a restart. That happened no fewer than five times over the next two weeks. You won’t find a headphone jack on the bottom of the Essential Phone. The Essential Phone can get so slow and buggy, it’s easy to forget it has a top-of-the-line Snapdragon 835 inside it. That’s the same chip as the Google Pixel 2, Samsung Galaxy S8 and Note 8, and LG V30, none of which ever required me to force a restart. And there’s no discernible reason for such terrible performance: The OS is nearly stock Android, there’s no bloatware, and the apps are mostly stock as well, save the camera. Sure, I would go through long stretches without any issues, but lag, touch latency, and occasional crashes still occurred across all apps and system functions, even after numerous restarts and a factory restore. In between all that, the Essential Phone performed as a Snapdragon 835 phone should, but I was always in fear of the next crash or freeze. I hated the haptic sensor, which was so buzzy it woke me out of a dead sleep and forced me to turn on Do Not Disturb. The 3,040mAh battery got through most of a day, but I generally needed to plug it in before I was ready to retire. Which brings me to another annoyance: Despite its glass-like back, the Essential Phone doesn’t support standard wireless charging, apart from a proprietary dock that doesn’t yet have a ship date. The poor performance was evident with the camera as well. Autofocus struggled to home in on subjects that weren’t perfectly still, and the shutter was a touch slower than on other phones. Picture quality was about on a par with the OnePlus 5T, meaning they were acceptable but not as good as the ones I took with the Pixel 2 XL or the Galaxy S8. The optional camera accessory affixes firmly to the back but isn’t as solid of a performer.. The modular 360-degree camera attachment is another story. While the magnetic connection is strong and secure, it takes a while for it to become useable once the camera app is launched the first time. Picture quality may technically reach 4K quality in optimal conditions, but there is serious lag while recording and some ugly pixelation when moving quickly. Also, the camera emits a high-pitched whine whenever the app is opened. Taking 360-degree video with the Essential Phone’s camera attachment produces some less-than-desireable results. 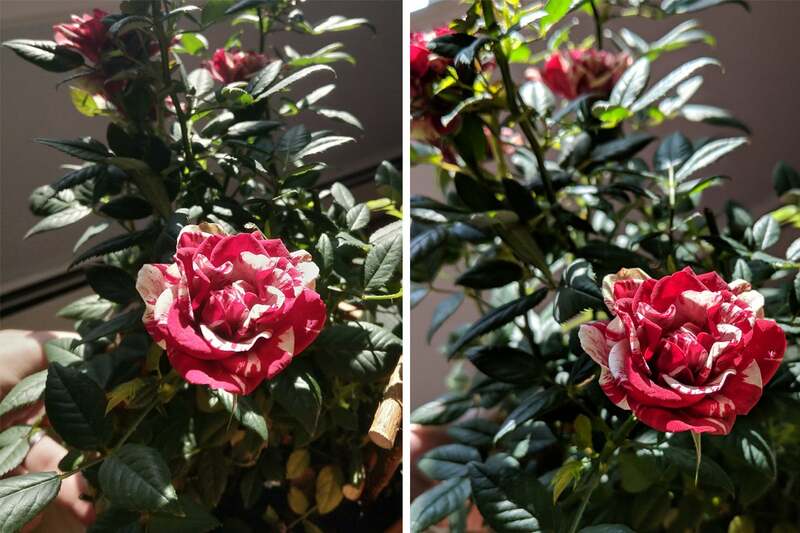 The Essential Phone’s images (left) are acceptable, but they lack the depth, detail, and color accuracy of the Pixel 2 XL (right). Speaking of the camera app, it’s the only real change to speak of when comparing the Essential OS to stock Android, and it doesn’t bring much to the table. However, the OS at large is definitely one of the phone’s notable bright spots. However, while security updates arrived remarkably fast (the February update appeared before it did on my Pixel 2), Oreo is nowhere to be seen. There is an 8.1 beta being tested, but Essential Phone was billed as a device that “evolves with you,” and it’s been over six months since Oreo’s release. Nearly three months into 2018, Android Nougat 7.1.1 just isn’t good enough. I really wanted to love the Essential Phone. I regularly switch between Apple and Android products, and the idea of an phone on the other side of the walled garden with such a high level of design intrigued me. But even though I much preferred the aesthetics of the Essential Phone, I’ll be sticking with my Google Pixel 2 for a little longer. The Essential Phone’s notch doesn’t always play nicely with text and images. So don’t be swayed by the Ocean Depths color. Unless Essential pushes out a major software update between now and when the phones arrive, anyone who buys one is just going to end up, well, singing the blues. Gorgeous glass-and-titanium design with slim bezels and a minimal aesthetic. Near-stock OS doesn't stray from Google's vision of Android. Crashes, bugs, and freezes galore. 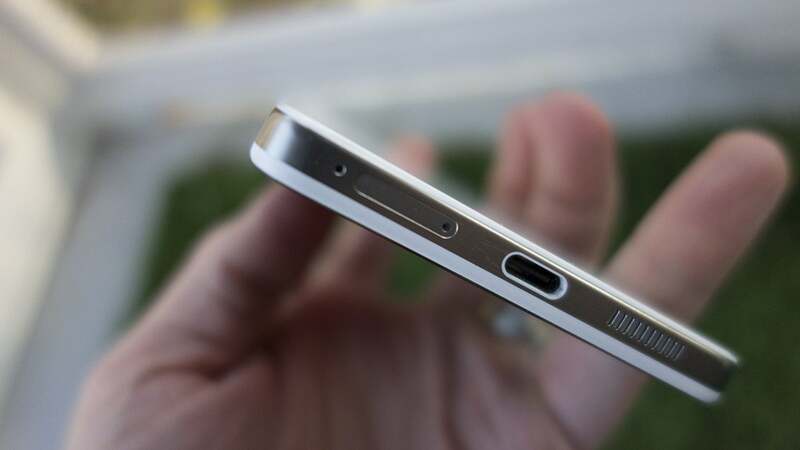 So-so battery and no wireless charging. 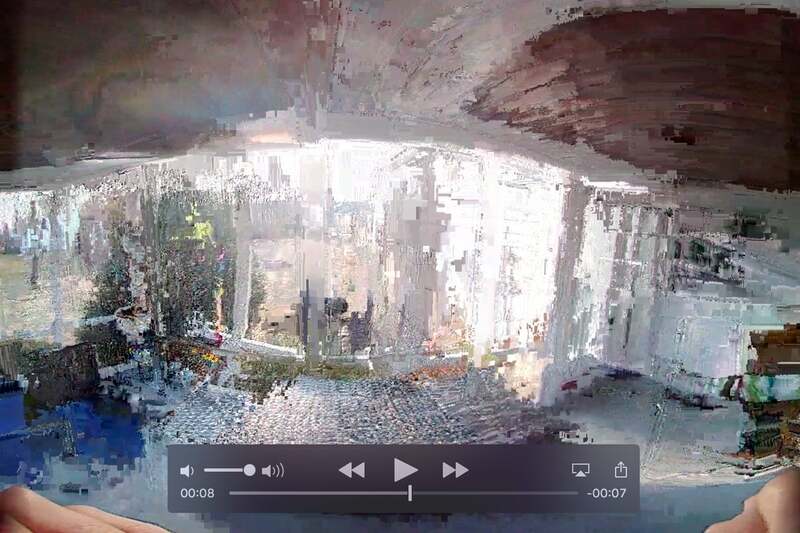 Camera accessory creates jumpy, pixelated videos. Camera cutout can get in the way of text and status bar icons.